Holds twice as much as standard trays. 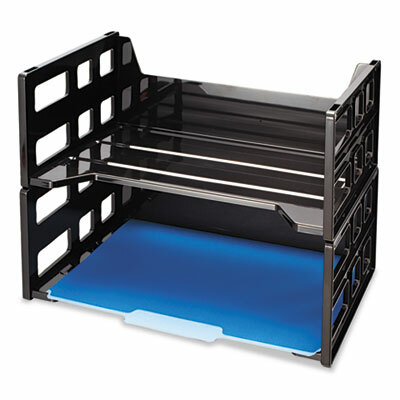 Stackable to keep desks organized and clutter-free. Maximize your desk space with trays that are more than twice as deep as standard trays. Each tray is 5" high for extra storage capacity. Global Product Type: Desktop Document Racks & Sorters-Horizontal & Stacking Height: 10 1/4"
Weight: 0.00 Manufacturer: OFFICEMATE INTERNATIONAL CORP.